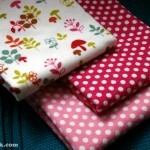 Had fun fabric shopping today at Rosie’s Quilt Shop, my favorite place in San Diego for tiny cotton prints. 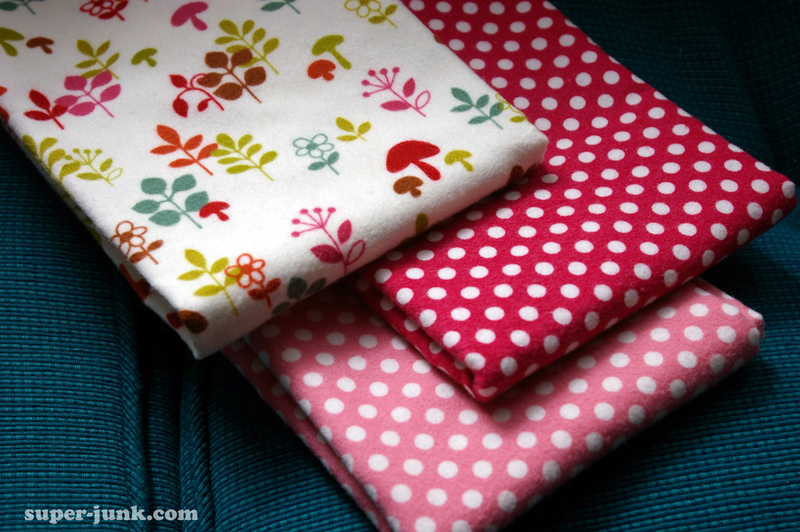 I was making huge piles of fabric and running around matching up pairs of prints for new kit colors. 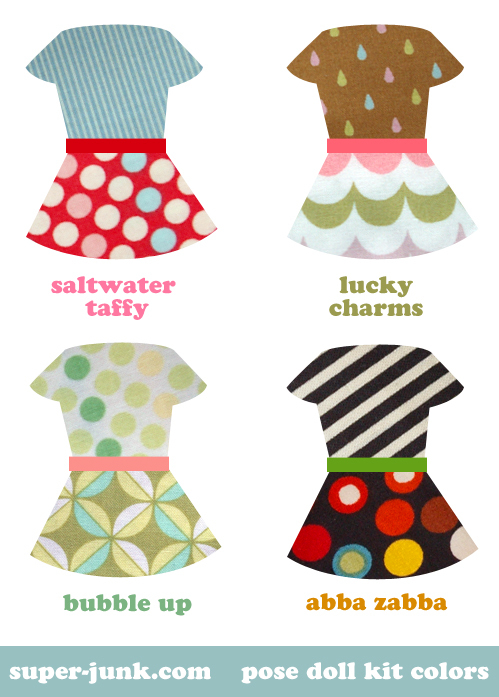 Here are some of the new combos (I already had the “abba zabba” fabrics, and there will be a few more that I will put out soon). 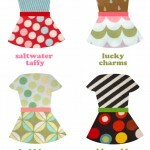 I also picked up some cute flannel prints for making felfs this spring for the shop. Fuzzy mushrooms!